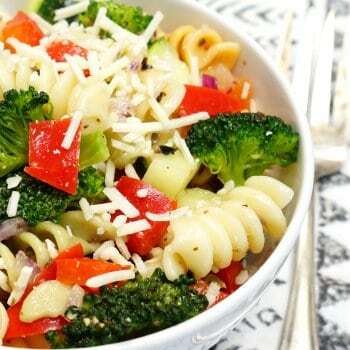 This really IS the Best Pasta Salad Recipe EVER! 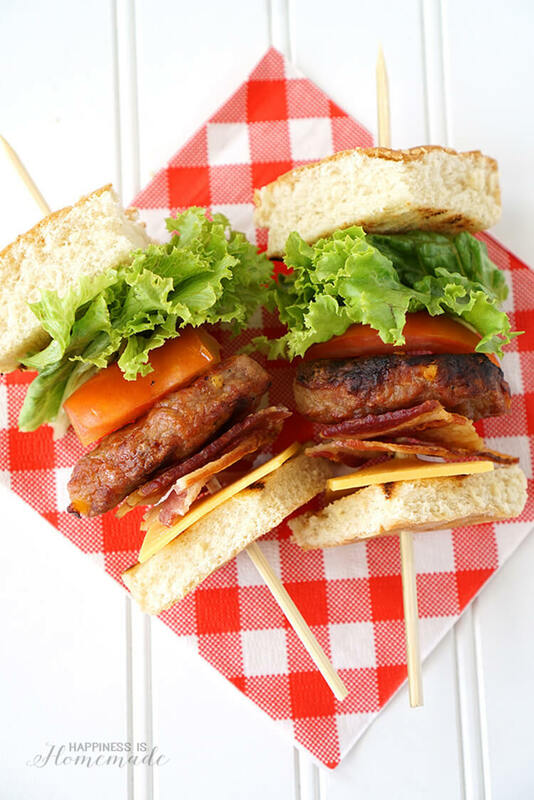 Quick, easy, and perfect for potlucks, picnics, and get-togethers! Everyone will be asking you for the recipe! 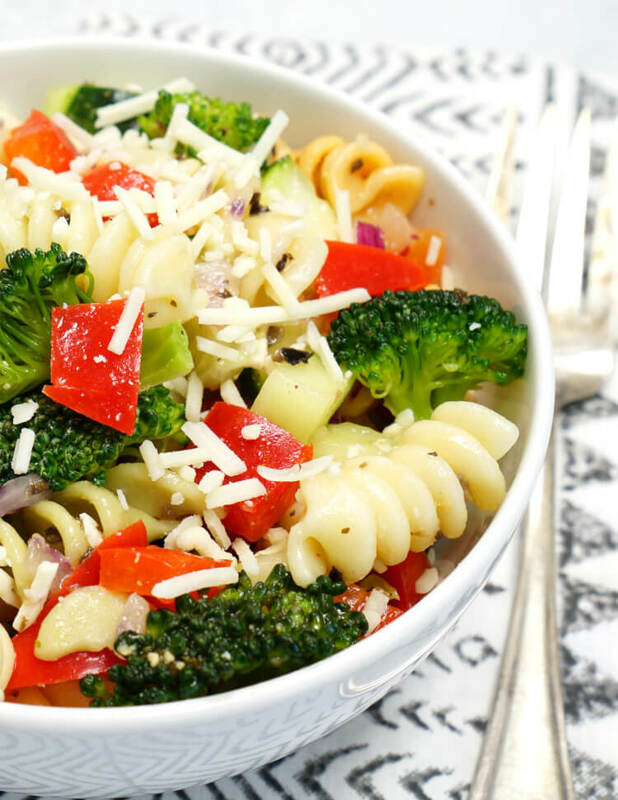 I know, I know…calling this the best pasta salad recipe ever is a hefty claim! After a few bites though, you’ll know that this baby walks the walk, too. I always get asked to bring this dish to every family gathering and potluck we’re invited to, so I’m guessing that the six dozen or so people that I’ve shared this recipe with would also agree! The best part about this recipe is that it is super versatile, so you can add or swap out ingredients to your liking. 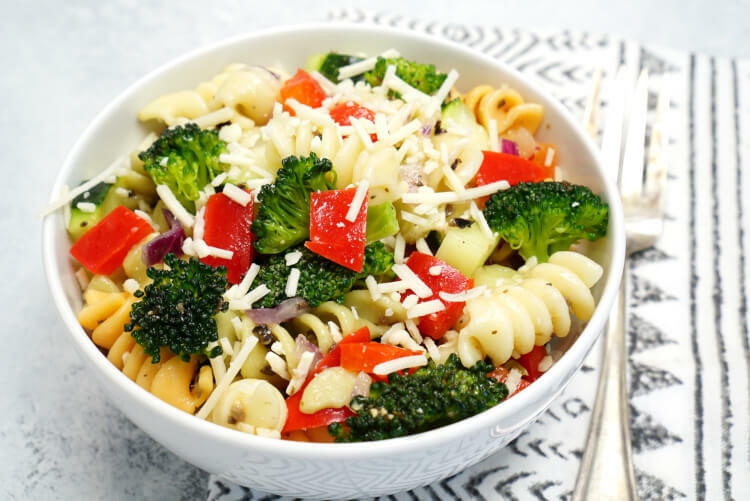 Some other additions that you might want to consider adding to your customized pasta salad are tomatoes, mushrooms, corn, summer squash, or any other veggie that you love! This delicious (and easy!) 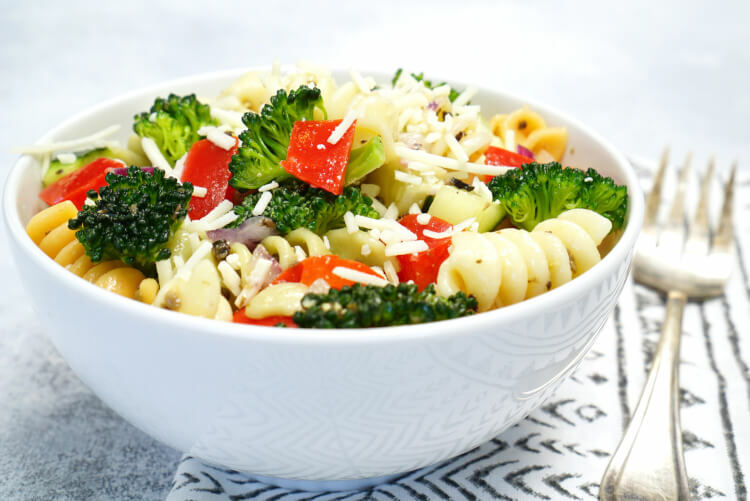 pasta salad is sure to be a huge hit with friends, family, co-workers, and more! Bring it to your next gathering, and be prepared to give everyone your recipe! 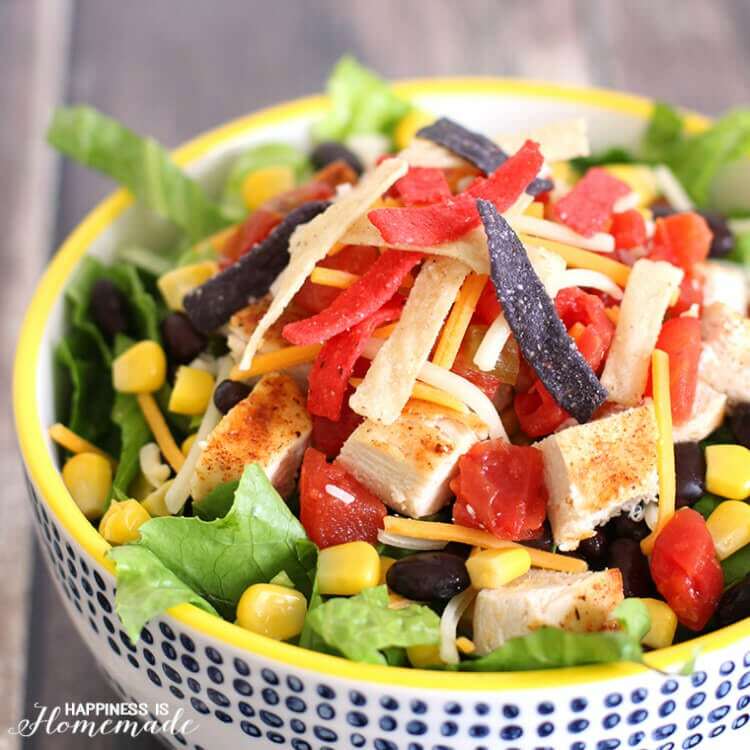 If you like this recipe, don’t’ forget to pin it! 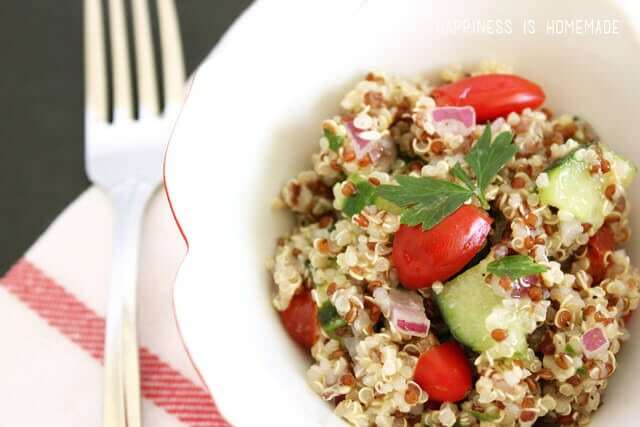 I just tried this recipe, and it was AMAZING ! thanks so much !! First time trying this brand of italian dressing too 🙂 I loved the crunch and all the wonderful flavors…I would love it in my fridge all the time ! I can’t see any olives in the pictures. Green stuffed ones or ripe ones? Terry, the olives in the recipe are canned chopped black olives, so they are tiny. I am having about 15 people.Should I double the recipe? I can’t find Ken’s lite northern Italian dressing! Any other suggestions? You can substitute any other Italian dressing, Marge! The Newman’s Own dressing is also very good!